For those of you who are interested to learn more about Swedish immigration and integration policy, I’ve written a two part summary from WWII onwards – here is part one. From 1850 to 1930 Sweden was largely a nation of emigration, with over 1.3 million Swedish citizens emigrating to the United States of America, Australia and Canada (Migrations Verket 2009). This trend was to change with the outbreak of World War II and Sweden’s ability to remain, at least officially, neutral. This neutrality shifted Sweden from being a nation of emigration to one of immigration as a result of accepting refugees from neighbouring countries during 1938 to 1948, including 30,000 Nazi concentration camp survivors (Westin 2006). Immigration to Sweden continued to grow substantially from 1948 to 1971 as a result of labour immigration. 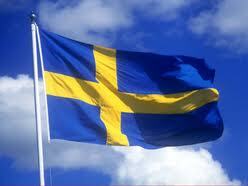 This too was as a result of Sweden’s neutrality during the World War II. While most of Europe’s devastated industries were recovering, Sweden’s infrastructure remained intact and the nations’ export industry was experiencing growth (Westin 1996). At this time, Sweden had a free immigration policy regarding labour immigration and during this period 550,000 Finns, 60,000 Yugoslavs and 20,000 Greeks moved to Sweden for labour employment purposes (Westin 2006). In 1951 an agreement was reached allowing Nordic citizens the right to live and work within any of the other Nordic nations, ensuring a supply of labour from Norway, Denmark, Finland and Iceland. Sweden did not have an official integration policy during the 1950s and early 1960s, with labour immigrants expected to integrate themselves into Swedish society. As there was a plethora of available jobs and opportunities, this did not constitute a problem at the time (Westin 2006). While no formal policy was implemented during this period, that is not to say Sweden ignored immigration policy altogether. Rather, Sweden made the decision at the end of the 1960s that immigrants should be considered permanent residents and that immigration policy was to ensure that these immigrants be on equal terms to native Swedes (Hammar 1985). This consideration of immigrants as potential citizens was in stark contrast to the German Federal Republic and a number of other European countries at the time who implemented guest worker policies. During this time the government also worked closely with the powerful Swedish Trade Union Confederation (LO) in order to ensure that foreign labourers were paid the same as Swedes in order to prevent cheap labour importation from other parts of Europe. In 1968 the Swedish Trade Union Confederation was able to influence the Swedish Social Democratic Party to implement more restrictive immigration policies that required non-Nordic citizens to obtain work permits before they arrived in Sweden (Malm 2005). This effectively reduced the amount of non-Nordic foreign labour entering Sweden (Migrationsverket) from this point onwards. In 1968 the government established the Swedish Immigration Board which was created to regulate migration and was responsible for the integration of immigrants and refugees (Geddes 2003). In 1975, an immigration policy was implemented which focused on multiculturalism as an important element in Swedish society and was based on the principles of equality, freedom of choice and partnership. ‘Equality’ represented the intent to give immigrants the same standards of living as the rest of Swedish society and ‘freedom of choice’ represented initiatives by the government to ensure that immigrants of ethnic and linguistic minority groups would be given a genuine choice between retaining their cultural identity or taking on a Swedish cultural identity. Lastly ‘partnership’ represented the mutual benefits of immigrant and minority groups working together with the native population (Ålund & Schierup 1991). This policy also allowed foreign citizens the right to vote in local elections, but not national elections (Ålund & Schierup 1991). Rather Sweden introduced dual citizenship in order to allow previously non-Swedish citizens the ability to vote in national parliamentary elections (Westin 1996). Equality, freedom of choice and partnership allowed immigrants the ability to access the welfare state benefits while at the same time maintaining their cultural identities (Ålund & Schierup 1991 p.3). This multicultural policy also intended to prevent the occurrence of ethnic conflicts and the formation of segregated immigrant communities within Sweden. This policy was considered proof that Sweden was becoming a multicultural society (Westin 1996). The 1975 immigration policy was primarily aimed at the integration needs of southern European labour migrants. However by the time this policy had been passed, the majority of immigrants to Sweden were not labour migrants. This was as a result of the 1973 oil crisis which reduced the need for the recruitment of foreign labour to Sweden as unemployment levels rose and immigrants were not able to find jobs as easily as native Swedes (Geddes 2003). Rather, refugees from developing countries became an increasingly large group within Sweden from the 1970s onwards, and consequently family reunification increased measurably as well. This resulted in organisational problems in Sweden due to lack of qualified translators and language teachers (Geddes 2003). During the 1980s asylum seekers arrived in Sweden from Iran, Iraq, Syria, Turkey, Somalia, Kosovo and a number of Eastern European nations with numbers reaching upwards of 20,000 to 30,000 a year (Lemaître 2007). After 1985 Swedish immigration policy began to shift away from a multicultural focus to one that was based around Swedish language learning and culture. Geddes, A 2003, The Politics of Migration and Immigration in Europe, Sage Publications, London. Lemaître, G 2007, ‘The Integrations of Immigrants into the Labour Market: The Case of Sweden’, OECD Social, Employment and Migration Working Papers, No. 48. Malm, T 2005, ‘The Impact of Immigration on Europe’s Societies: Sweden’, The European Migration Network. Migrations Verket, ‘History of The Swedish Migration,’ The Swedish Migration Board. Westin, C, 2006, ‘Sweden: Restrictive Immigration Policy and Multiculturalism’, Centre for Research in International Migration and Ethnic Relations, Stockholm University. Ålund, A & Schierup C 1991, Paradoxes of Multiculturalism – Essays on Swedish Society, Avebury, Aldershot.